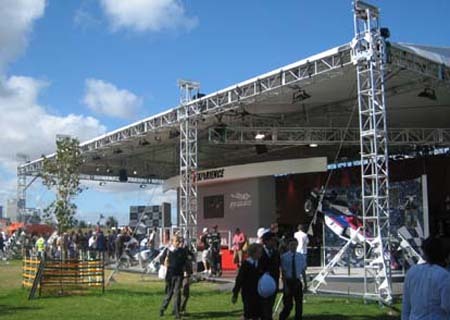 Stand at Albert Park Lake for the 2006 Australian Grand Prix. Harry's purchased a large quantity of CLS 500mm c-c Alloy Box Truss to build the roof. The custom roof skin was manufactured at Harry's own Melbourne workshop.